If you’re in the market for a new dash cam and the security of your vehicle is one of your main concerns, you’ll definitely want to make sure your dash cam comes equipped with a feature known as “parking mode”. A parking mode dash cam remains in a standby state without recording footage until the sensor detects motion outside the vehicle or senses contact via its built in G-sensor. At this point, a parking mode dash cam will begin recording whatever activity may be occurring in the car’s immediate vicinity. This means that even when your engine is turned off, a good dash camera with parking mode keeps close watch over your vehicle. If the dash camera detects someone lurking near your car or if another vehicle accidentally hits yours or if God forbid a tree branch falls onto your windshield, the entire incident will be recorded and saved as evidence for future examination. In any event, dash cameras with parking mode are great additions to any vehicle. But it’s important to note that parking mode is not always a standard feature. Some dash cams do not come equipped with parking mode, while others offer only a very limited version of the technology. At first glance it may seem difficult to sort through all the various options to determine which cameras are best for your specific circumstances. Fortunately for you, we’ve compiled here a detailed list of the best parking mode dash cameras. Our hope is to offer you the most comprehensive information available about the best parking mode dash cams on the market so that you as a consumer can make the smartest choice for you and your vehicle. While conventional wisdom might state that all parking mode dash cameras are the same, the parking mode dash cam reviews we’ve listed below prove that not all versions are created equal. 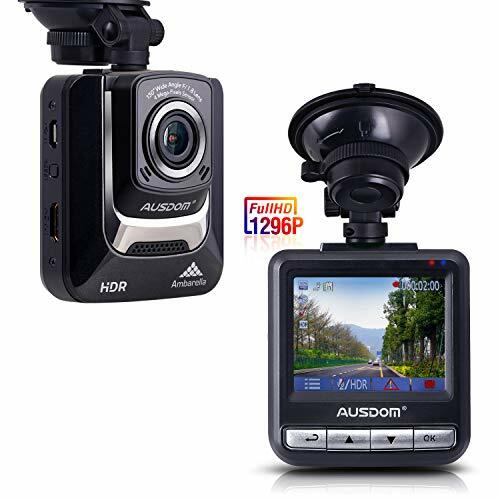 The Ausdom AD282 is an attractive parking mode dash camera at a very reasonable price. The 2.4” LCD screen is large enough to view your footage with ease and yet small enough to remain discreet when inside the vehicle. The small square shape ensures that the dash cam does not interfere with your driving and remains inconspicuous when used for security purposes in parking mode. When selected, the Ausdom AD282’s parking monitor function will trigger automatic recording if it senses a collision or unnatural shaking of the vehicle. It relies on its G-sensor technology to initiate this parking mode when the vehicle ceases to be in motion. The same G-sensor technology is also responsible for its Auto Accident Capture capability. When the sensor detects unnatural movement or a collision it will automatically lock the recorded video file so that it does not get deleted accidentally. The Ausdom AD282 parking mode dash cam can hold up to 64GB worth of video files and initiates loop recording so you never have to mess with deleting old files. The picture is always crisp and clear, full 1296P in high definition. The only drawback is that, due to the small size of the Ausdom AD282, the wide angle lens tops out at 130 degrees, less than some of the other cameras on our list which can capture far more of the road in front of you. So if you are looking for an extra wide angle lens you might want to look elsewhere, but for the price and the quality of the camera itself, the Ausdom AD282 remains a highly attractive option on our list of parking mode dash cams. The BlackSys is one of the most expensive of the parking mode dash cams on our list and comes with all the bells and whistles you might expect of a parking mode dash cam at the higher end of the spectrum. The unique design of the Blacksys makes it one of the most discreet and stealthy parking mode dash cameras on the market. It comes equipped with two separate recorders – a front facing cam and a rear-facing cam. Amazingly, both cameras come equipped with parking mode, meaning the front and back of your car are being watched at all times, even when you step away. The parking mode feature of the BlackSys is one of the best, boasting motion detection capability which means that it will begin recording footage anytime something moves in front of the camera’s motion detection area, even if there is no contact with the vehicle itself. In this sense it could be said that the BlackSys parking mode is superior to that of the other two cameras above, but there are other factors to consider. Motion detection software, whilst offering you a more comprehensive video coverage, can also mean that your SD card becomes filled with unnecessary videos. The motion detection will record video anytime a pedestrian passes in front of your car, or any time a leaf falls in the camera’s frame. With that said, the motion detection function of the BlackSys is, however, highly customizable via its unique smartphone App. Utilizing the dash cam’s Wi-Fi capability you can lower or increase the cameras sensitivity via your cell phone. You can even select and deselect areas that could potentially trigger a recording, meaning that if the clouds and the trees moving in the wind keep setting the camera off, you can simply deselect the upper area in the settings function. Similarly, you can adjust the parking mode settings to reduce the sensitivity of the built-in G sensor. If you find that the camera is recording every time you go over a speed bump, simply adjust the sensitivity. Or if you are a person who prefers to be safe than sorry keep the settings as is. While the BlackSys is one of the most expensive parking mode dash cameras on the market, it does offer an impressive level of protection and can hold up to a whopping 128GB of video footage with the right SD card. 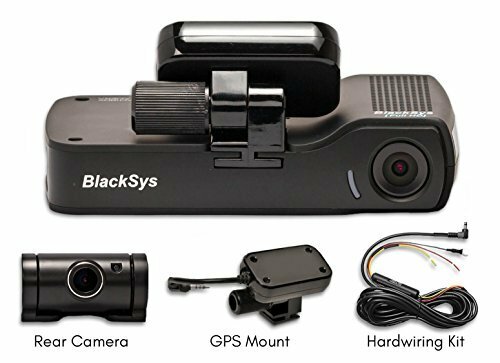 If you don’t mind spending the extra money in order to ensure your vehicle is protected on all fronts, the BlackSys is the camera you’re looking for. The INSIQ’s small and minimalist design rivals the stealthy capability of the BlackSys above. Much smaller than the BlackSys and weighing a mere two ounces, the INSIQ can be hidden easily anywhere within the vehicle, unnoticed by someone who may be trying to get away with vandalizing your property. Despite its tiny size, the picture quality of the INSIQ is one of the best on the market at 1296P and full HD. Small but powerful, it comes already equipped with a 32GB SD card in case you are in a rush to get your camera up and working straight out of the box. Unfortunately, the parking mode feature does not have motion detection capability like the BlackSys but it does come with a parking monitor that uses G-sensor to record automatically if it detects your car is hit, even when the car engine is turned off. So if you suspect foul play to be coming your way, this might be the camera for you. More than the other parking mode dash cams on this list, the INSIQ is the easiest to position sneakily within your car so that you can capture in super high quality the face or faces of the person or persons who may be doing damage to your vehicle. The OldShark’s design looks comparable to that of the ToGuard mentioned earlier above – a horizontal flat screen that can be rotated to record the front or rear of the vehicle, mounted to the car’s windhsield by a suction cup. The OldShark’s LCD scratch-resistant screen is slightly bigger than the ToGuard at 3” making it ideal for people with poor eyesight or those that wish to watch playback directly on the device instead of via an external monitor. The parking mode of the OldShark is similar to the industry standard – a parking guard feature that automatically records when a vibration is detected. The G-sensor responsible for this parking guard can be adjusted to one of three settings – low, medium, or high so you can determine what warrants recording and what doesn’t. Furthermore, the motion detection feature saves space on your SD card and utilizes less energy from your car’s battery. By pausing video recording after the vehicle stops moving and only resuming recording when the vehicle begins moving again or the parking guard feature is activated by a collision of some kind, the OldShark is energy efficient. One obvious upside of the OldShark is its ability to withstand extreme temperatures ranging from -50 degrees F to 160 degrees F. The custom aluminum shell protects the inner workings of the camera so if you live in a location with extreme weather, the OldShark parking mode dash cam is a smart choice. The only downside of the OldShark is its obvious visibility within the car itself. If you are hoping to catch an unsuspecting perpetrator vandalizing your car, you may want to opt for a smaller camera as this one can be clearly seen from the outside of the car. On the other hand, the size and noticeability of the OldShark dash cam might actually prove to be a deterrent in and of itself! Perhaps the first thing one notices about the Papago is the unique 2” sliding LCD screen which can be pulled down for viewing or retracted into the body of the camera in order to save space in your vehicle. 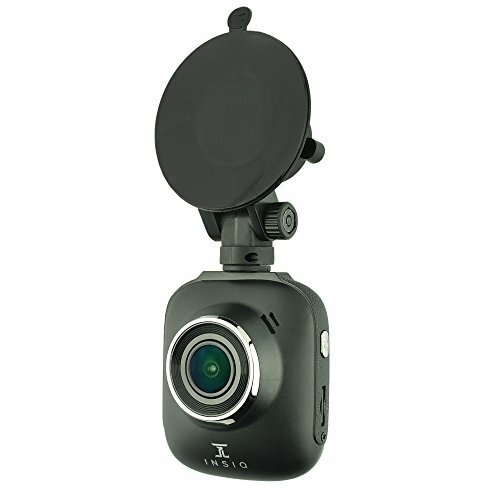 Unlike other parking mode dash cams that affix to the windshield with a suction cup (which can lose suction over time or potentially damage your vehicle), the Papago’s unique design latches inconspicuously onto the back of your rearview mirror. If you prefer the suction cup design, you can purchase this at an additional cost. The body of the Papago is compact and discreet and the small size of this parking mode dash camera makes it unlikely to become a target for thieves. When in parking mode, it acts as a hidden eye ready to capture break-ins, vandalism, fender benders, or anything else that could potentially damage your vehicle. The parking mode of the Papago is motion detection based meaning that whenever it detects movement in the cameras field of vision it will conveniently emerge from sleep mode and begin recording whatever is in front of your car. It’s worth mentioning here that the manufacturer advises anyone looking to purchase the Pagapo to ensure that the dash cam is compatible with the size of their rear view mirror. Some mirrors have been found to be incompatible with the Papago mount. 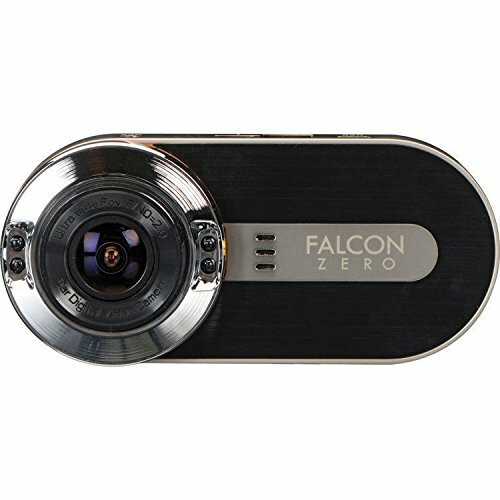 The FalconZero is a high quality parking mode dash cam that records crisp images with its six-glass 170-degree wide-angle lens. In addition to useful features like nighttime recording, the FalconZero includes a 32 GB SD card which can hold up to 500 minutes of footage before it begins to overwrite the oldest recordings. In what is perhaps it’s most outstanding feature, the FalconZero comes installed with GPS software that allows the user to record his or her speeds and locations via Google Maps or Bing Maps depending on the user’s preference. 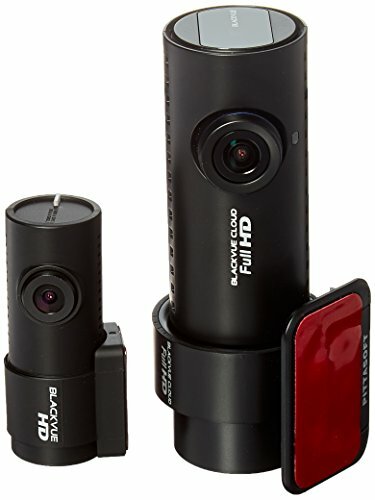 The built in G-sensor locks video whenever the camera detects unusual motion or vibration and the body of the FalconZero is made of durable aluminum, meaning the camera is solid and weighty unlike some of the cheaper options on our list of parking mode dash cams whose bodies are made of lightweight plastic. The LCD menu is easy to use and full of customizable features although the motion detection parking mode of the FalconZero must be turned on when the car is parked for it to function properly. When turned on, the parking mode of the FalconZero captures wide-angle footage at super high definition ensuring that if you car is hit whilst parked, you will have an easy insurance process ahead of you. The Blackvue parking mode dash cam is the single most expensive camera on our list, and for good reason. With both a front and rear-facing camera, the two channel Blackvue comes already equipped with a 64GB SD card which can support a variety of recording modes. The camera can even accept SD cards up to 128GB which equates to almost a full twenty-four hours of uninterrupted footage. The sleek cylindrical body of the Blackvue can be rotated a full 360 degrees and comes equipped with GPS and a microphone meaning that it can speak to you if you choose to turn on this feature. The mobile app even has Wi-Fi capability meaning you can watch live video from the camera on your phone. The mobile app also allows you to scroll through the videos on your phone that have been captured during parking mode or the G-sensor so you’ll know sooner rather than later if something has happened to your vehicle. The parking mode of the Blackvue can be enabled after hardwiring the camera to your car. It can operate in motion detection mode if the user sees fit. One downside is that the camera tends to overheat in very warm climates and shut down completely. If you are living in a place with consistently warm temperatures, you may want to look for a different camera that can withstand these extremes like the Blackcam listed below. The Blackcam touts itself as a dual channel hybrid cam that records the front and back of your vehicle at 1080P and 720P respectively. Built to last, the Blackcam touts itself as the most durable dash cam on the market, able to withstand temperatures up to 120 degrees Fahrenheit. It even comes with a defog feature that automatically removes fog from the video footage you record. In addition to an excellent GPS function, the Blackcam comes with a 3D noise reduction feature that automatically corrects for blurry or noisy images, ensuring that picture you record is always clear and crisp. The enormous 3.5” LCD on the back of the front camera is a touch screen that can be operated like an iPad, great for viewing immediate playback on the spot. You can even use your finger on the touchscreen to zoom closer into the video you’ve recorded, essential if you are looking to get someone’s license plate number or identify someone’s face. If hardwired to the vehicle instead of taking power from the cigarette lighter, the parking mode feature of the Blackcam will be activated whenever the car stops moving. Lane departure software alerts you whenever you may be drifting over a lane marker, making the Blackcam an essential purchase for those embarking on extremely long road trips. The ToGuard offers a cheaper alternative to the Ausdom AD282 listed above. The picture quality of the ToGuard, while less clear at only 1080P, is broadcast onto a larger 2.7” LCD screen and taken from a larger aperture six-glass lens. The benefit of the large lens is that instead of the 130 degrees wide angle of the Ausdom AD282, with the ToGuard you get a whopping 170 degrees of footage – more than enough to record the full extent of the road and even some of the landscape beyond. The ToGuard, like the Ausdom AD282, boasts an intelligent parking mode function based on the camera’s internal G-sensor. Whenever the sensor detects vibration in the vehicle, the ToGuard will automatically power on and record ten seconds worth of footage. This ensures that after an accident you get a significant amount of time to identify the vehicle or person in question. The only issue is that it does take a brief period for the camera to get going, so you do run the risk of missing the incident completely if it occurs very quickly. The parking mode feature of the ToGuard will pause the video recording if the vehicle stops moving for thirty seconds or more. Similarly it will resume recording when the vehicle starts to move again. This ensures that the car battery is not extensively drained while in parking mode and that space on the SD is not wasted unnecessarily. Two other attractive features of the ToGuard include the Lane Departure Warning System (LDWS) and the Forward Collision Warning System (FCWS) which makes the driver aware of any clear and present dangers. Whether you have a habit of falling asleep at the wheel on long road trips or you are simply a new driver who wants to take extra precaution, the ToGuard has you covered, watching over your vehicle both when it is in motion and when parked. The Vantrue parking mode dash cam, like the BlackSys mentioned previously, is able to keep watch over both ends of your car. The dual lenses simultaneously record the road in front of you and the cabin in high definition. The front camera captures up to 170 degrees in wide angle and the rear 140 degrees. When powered by the vehicle’s port, the Vantrue dual cam also comes equipped with a parking mode function that allows you to choose between two equally secure options – motion detection parking mode and time lapse parking mode. Both will watch over your vehicle when you step away, although it’s important to note that only the front camera has this functionality. Having said that, if you want parking mode for the rear of the vehicle, you can always remove the camera via its suction cup and place at the back of the car. If you want to utilize the Vantrue’s motion detection parking mode simply switch the cam to this mode and the camera will come to life and record people and things that come into view from 33 feet away. If it’s the time lapse parking mode you’re looking for, opt for this and select the time interval you want between clips. The camera will then snap photos at this preselected interval and stitch together the images in order to create what appears as a seamless video. The Vantrue is definitely one of the more expensive cameras on the market. While it comes in a sleek attractive design, potential buyers should note that it does only record at 1080P resolution. So if you want super high definition to record the surrounding landscape as you drive through the country, you might want to opt for a different camera as they are cheaper versions that offer a much clearer picture. Your vehicle is at its most vulnerable when you leave it alone and parked. The Internet is full of horror stories about cars being keyed or windshields being smashed or doors getting bumped in parking lots, all types of petty accidents which end up costing consumers thousands and thousands of dollars worth of damage. When this happens, often a person returns to their car having no idea who was responsible. With no witnesses to the incident, not only is the owner of the damaged car left with questions, but so is the insurance company and even the police. While there may be video cameras monitoring the parking lot of the establishment, if your car is parked too far away from the storefront you may be out of luck. But with a dash cam that can operate in parking mode, you’ll always have the answers saved onto your own private CCTV. In a busy parking lot, your car is subject to all kinds of damage. The parking lot is often a place where careless drivers tend to make big mistakes. In addition to collisions that occur as cars try to fit into tight parking spaces, sometimes people open the door too wide, dinging the adjacent car. Sometimes runaway shopping carts crash into cars resulting in deep scratches that cost a good deal of money to repair. While we like to think that people will do the responsible thing and leave a note admitting responsibility, this is not always the case. If a person damages your car and does not leave a note claiming responsibility for the accident, you as the owner of the damaged car, are left without any recourse. In instances of a hit and run or any other parking lot accident, a dash camera in parking mode will be able to capture the make and model of the vehicle responsible for the damage, and in many instances, even the license plate number of the guilty party. In instances of vandalism, a dash camera in parking mode will record the face of the perpetrator and help bring the person to justice. This could save you hundreds of dollars in deductibles and prevent your monthly insurance rate from rising for an incident that was in no way any fault of your own. And in the instance of a tree branch or foreign object falling onto your vehicle, the parking mode recording may be vital to proving your innocence to insurance companies, potentially saving you a great deal of time, hassle and money. The truth is that life brings us as many unexpected disasters as it does blessings. To protect your bank account and keep yourself on guard against people looking to do your vehicle harm, the parking mode feature of a dash camera will bring you the peace of mind you are looking for. If the purpose of your buying a new dash cam is to protect your vehicle from unforeseen damages, the parking mode feature of the dash cam might be the most important feature available. Even when you are away from you car you can rest easy with a parking mode dash cam, knowing that there is a second eye keeping steady watch over your vehicle. All dash cams must be connected to a power source to work long-term since the internal battery of dash cams is usually very short-lived, lasting only around thirty minutes top. To take power, most dash cams are powered either via a cigarette lighter (a 12V socket) or hardwired directly to the car’s battery. A dash cam turns on whenever the ignition comes on, and as soon as the power is turned off, the dash camera turns off too since there is no power going to the camera. Like any electronic device: no power, no play. In order for a camera to function in parking mode it must be permanently connected to an always-on power source like the fuse box of the vehicle. This is known as hardwiring. 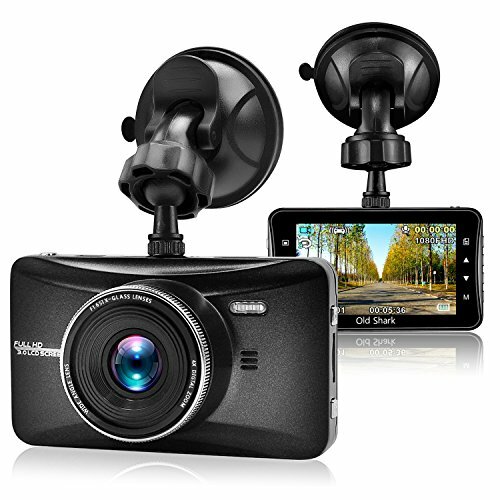 Some of the parking mode dash cams come equipped with the necessary wires and parts and detailed instruction manuals which explain how to perform this set up, but if you are not tech savvy about the mechanical wiring of motor vehicles, it may be best to take your car to a licensed technician. For a small fee you can be saved the worry of frying wires or setting your car on fire. Dash cams with a parking mode feature have internal mechanisms which can detect whether or not the car is parked or in motion. Depending on whether the car is moving or at a standstill, the dash camera will either choose to operate in a “continuous recording mode” or “parking mode.” When a dash camera with parking mode capability detects that a car’s ignition has been turned off and the car has remained stationary for a certain period of time, it will engage the parking mode feature. When in parking mode, the dash cam will begin to record whenever it detects movement or activity in the camera’s field of vision. So as not to use up your SD card when nothing is going on, the dash cam will only save those files that capture activity and turn on only when necessary. Of course, if you are in a busy parking lot and people are constantly passing in front of your car, this can quickly begin to take up quite a bit of space on your SD card. Also, the parking mode’s sensitivity means that it may begin to record incidents as harmless as someone shutting a car door near your vehicle or a leaf falling onto your windshield or even a person or animal gently brushing up against your car. But with most dash cams being designed to write over old files in continuous loop, it’s better to be safe than sorry. You can always delete those files that are unnecessary after a quick review. At present, there are three different types of parking modes available to consumers. Depending on your specific needs, one of these modes might be more preferable to the others. The first, known as the standard parking mode, will turn on and record anytime motion or an impact is detected by the motion sensor or G-sensor in the dash camera. This not only uses less energy than a continuous recording would, but because it is selective in what it records, this means it will take up significantly less space on your camera’s SD card. The down side of this of course is that there is always a short delay from the moment the incident occurs to the beginning of the recording. If whatever happened occurred very quickly, you may end up missing the essentials as the camera breaks from its hibernation. The second option, termed buffered parking mode, will record a length of time before and after the motion is detected, usually somewhere between ten and twenty seconds either side of the incident. This is especially helpful as usually there is a short lag time between the incident occurring and the camera turning on, meaning that if the incident in question occurs quickly, without buffered mode you run the risk of missing the incident entirely. Buffered mode gives you a much fuller picture of what really happened which could come in handy when having to prove something to an insurance company or in a court of law. The last type of parking mode, time-lapse mode, offers another option entirely. In time-lapse mode a dash camera will snap a still photo every second of so meaning that you get a full time-lapse replay of everything that happened in the dash cam’s field of vision while you were away. Sometimes these time-lapse parking mode cameras also come equipped with the motion detection and G-sensor technology so that you also get a standard recording anytime the dash cam detects some kind of unexpected event. Along with GPS capability, wide-angle lenses, and night vision recording, dash cameras now offer advanced parking mode functions that guarantee surveillance of your vehicle when the car is turned off, even when you have left it alone on the street or in a parking lot. As seen in our reviews of parking mode dash cameras above, some parking modes are superior to others. Some will only record when vibration is detected within the vehicle, others will record anything and everything that moves within the dash cam’s field of vision. Some dash cams initiate parking mode only in the front camera, while some dual channel cameras can initiate parking mode in both cameras. Each of these parking mode options has its pros and cons depending on the user’s particular circumstances. To make the best choice, first consider carefully what it is you require from a parking mode dash cam and then choose accordingly based on your desired price point. Whatever you end up choosing, with a parking mode dash cam set on high alert, you can sleep easy at night knowing that your personal property is protected. If damage is done to your vehicle you will have a clear account of the incident which may be vital in proving your case to law enforcement or your insurance company. Well worth the money, a good dash cam with parking mode keeps you in the know by keeping close watch over one of your most prized possessions.